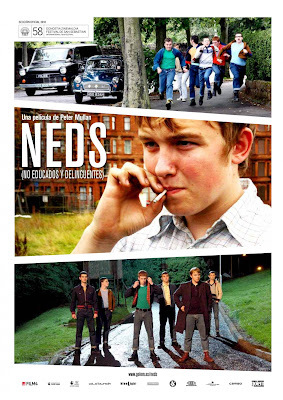 Neds is a film directed by Peter Mullan in 2010, and was awarded Best Film at the 2011 San Sebastian Film Festival. Set in Glasgow, Scotland in the 1970's, it tells the story of John McGill, a promising young lower-class student who is failed by the system and becomes a 'ned' non-educated delinquent. Grim, disturbing, and at times brutally violent, Mullan presents a biting and realistic social critique. Conor McCarron does a fine job in his acting debut as John, a model student with all the cards stacked against him. His father is a violent alcoholic, his older brother a gang leader, and his teachers are either tyrannical or incompetent. The visual style is brilliant, the film looks very much like an accurate recreation of the 70's and the mostly young cast are convincing as menacing delinquents. There are also some surprisingly funny scenes and also a couple of bizarre surrealistic scenes including one of a statue of Jesus that comes to life. Overall a very good film, but the story does drag on a bit towards the end, and the ending itself is rather anti-climactic. The one you are thinking of is probably This is England. 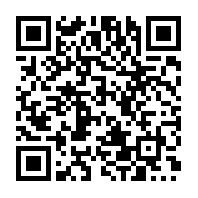 It shares some similar themes. Peter Mullan does depressing social commentary well. I like Peter Mullan as an actor very much, so I'd be interested to see him direct. I'll keep an eye out for it, nice review! Yeah Mullan's work is inspired in many ways by Ken Loach. Yeah now I have to go check out his first film. I looks very Scottish. I'm not sure if that's good or bad. It's worth it just for the cool Glaswegian slang.